ErosionLab is viewed by many organizations as an industry leader demonstrating commitment on behalf of the erosion control industry. 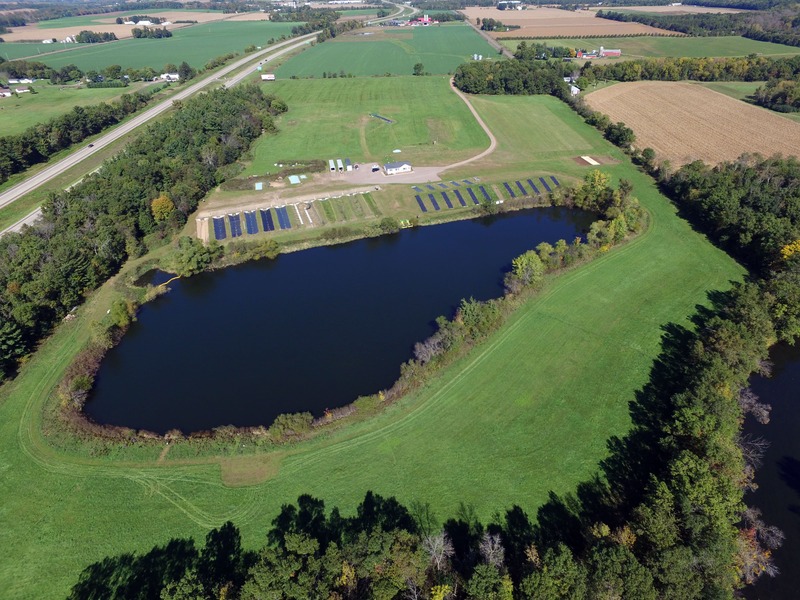 The large-scale erosion control testing laboratory has three primary facilities: the Rainfall Erosion Facility (REF), the Channel Erosion Research Facility (CERF), and the Sediment Control Facility (SCF). REF contains 12 erosion test plots that are 8 ft wide x 40 ft long at a 3H:1V gradient. 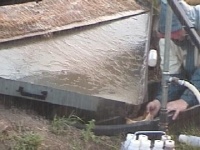 The rainfall simulator can produce near-natural storms up to 8 in/hr. Erosion lab CERF contains 12 test channels that are 80 ft long and may be shaped to match specific test requirements. CERF can produce flows up to 80 cfs. 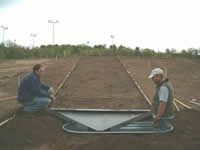 SCF, which was constructed in 2004, contains five test plots that are 8 ft wide x 35 ft long at an 8H:1V gradient. 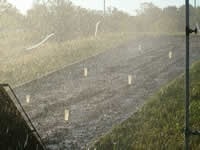 Slope interruption and perimeter control BMPs are installed at the toe of the slope, while rainfall-induced erosion is created up-slope of the BMP to be evaluated. SCF testing will produce numeric performance values, which currently do not exist for slope interruption and perimeter control products. ErosionLab wears many hats, but the lab considers its role as an educator to be most important. Each year the lab strives to relay its findings through open field days, technical papers, presentations across the country, and test reports. Each year, hundreds of individuals from government agencies, engineering firms, academia, contracting businesses, and manufacturers of erosion and sediment control products learn from one another during hands-on sessions at ErosionLab. ErosionLab has hosted the International Seminar on Watershed Management multiple times. ErosionLab has been visited by individuals from over 30 different countries around the world. In turn, our international friends share their approaches to solving erosion and sediment control challenges back home. Many educational field days are hosted by ErosionLab each year. Over 140 such educational demonstrations have taken place since the lab opened. In addition, ErosionLab is used to train company personnel in various aspects of erosion and sediment control. Recyclex® TRM – Turf reinforcement mat comprised of fibers extruded from 100% post consumer plastic soda bottles. During its infancy, numerous protocols of Recyclex were created. Each protocol was tested and analyzed until the ideal medium was found. This ideal medium, the current Recyclex TRM manufactured today, is a combination of ideal vegetation establishment capabilities, performance levels, and environmental awareness of raw materials. In addition to standard channel testing, 48 hour-long tests are commonly conducted on the vegetated product as a part of a long-term evaluation. 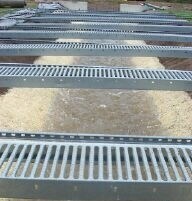 Curlex® NetFreeTM – The first erosion control blanket that does not require netting to maintain its integrity. All components of Curlex NetFree are biodegradable. Numerous protocols of Curlex NetFree were tested and analyzed until the present day configuration was achieved. ErosionLab is constantly conducting various research projects to help advance the erosion control industry. The lab has studied the movement of available nitrogen in soils covered with erosion control products and soils that are unprotected. In addition, an extensive vegetation study was conducted that yielded vegetation density, total biomass production, and soil moisture enhancement ability for numerous erosion control blankets (ECBs). ErosionLab worked with Barron County (WI) in a joint research effort to investigate the relationship between corn row orientation on slopes and the resulting soil erosion. ErosionLab is committed to the erosion control industry and it is important to us to fully understand the effects of erosion control devices under a variety of conditions. Engineers need to work within budget restraints and National Pollutant Discharge Elimination System (NPDES) permits, but ultimately, use the right product for the right application. ErosionLab helps assure the Engineer that they have made the right decision. 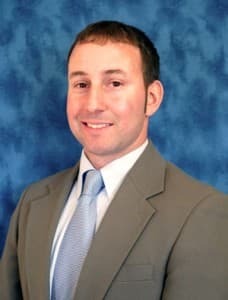 ErosionLab pledges to maintain its role as a leader in educating and advancing the erosion control industry.